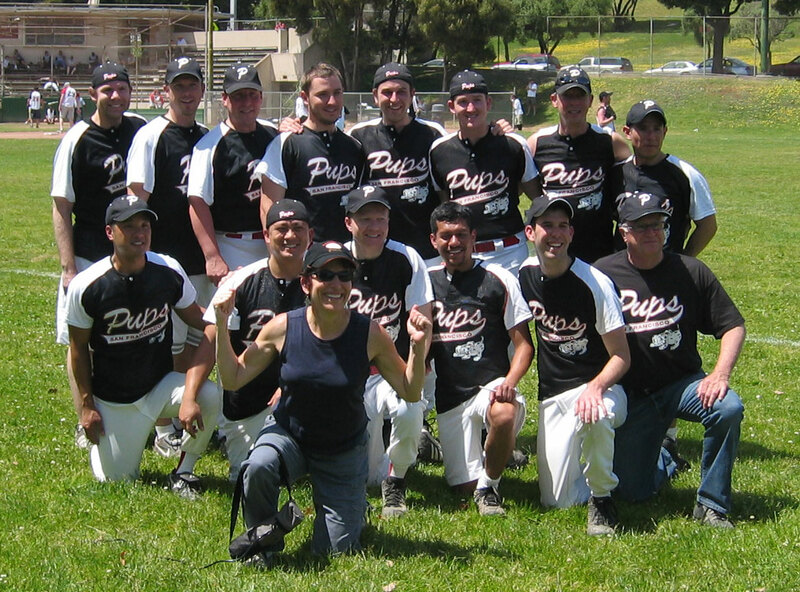 Come meet my softball team, the Pilsner Pups. See photos here. Also, if you're one of those people who likes an eVite, then get it here. The fun starts at 4 PM on Sunday, June 4th at the Pilsner at 225 Church Street, near the intersection with Market Street. We'll have jello shots, a raffle, a beer bust and boys, boys, boys!!! Your debauchery will help raise money for tournaments where we will represent San Francisco against other West Coast teams. This weekend we were the last San Francisco team standing in our division before we lost to a Portland team. We plan on a rematch with them in their home town and are raising money to help us get there. We are accepting, encouraging and extorting donations that we can raffle off. Send me a message if you want to donate a bottle of wine, sports equipment, naughty movies or other prizes. If you are more of a spectator, that's okay too! Just show up and party with the Pups!